In October of 1991 the USSR rejected development of a new small, mobile ICBM undertaken by the Moscow Institute of Heat Engineering (MIT) State Enterprise. The Kuryer was not inferior to its American counterpart, the small, mobile Midgetman missile complex. This system could have taken the place of Topol-M.
By another account, this missile would not have been a small-medium size ICBM, such as the Midgetman or the Topol-M, but rather would have been a heavy ICBM, such as the Peacekeeper or the Russian SS-24. In any event, flight tests were ready to begin, but by some accounts the Soviet political leadership yielded to US pressure and the tests were not performed. However, the basic components of the system were tested. 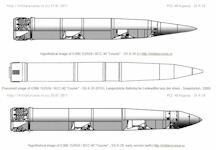 This missile was designed to incorporate new materials, for example, new fuel and control system as well as other new design and technological solutions. The large solid ICV+BM heritage came from the former Soviet Union Ukrainian solid propellant works branch of the Yuzhnoy Yangel design bureau. 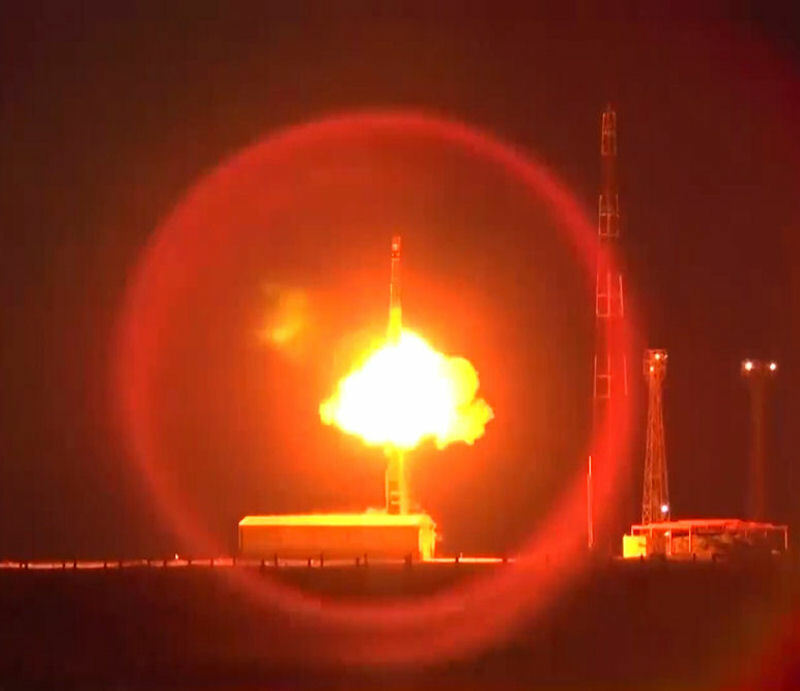 Research was cancelled on the development of the Kuryer large solid propellant super ICBM. The logistic mass handling issues of this large ICBM concept had always brought into question whether this design was truly viable. With the collapse of the former Soviet Union one of the first Western desired actions was for the Ukraine to destroy both the facilities and the capability to produce the missile. This was in fact done. In any event, the R-500, SS-26 NATO designation was eventually applied to the completely unrelated and much smaller Iskander SPIDER B. The SS-X-28 designation was applied to the 15Zh53 SS-20 Mod 3. In the 1970s, work began on the subject of mobile ground-based missile systems (PGRK) in the Soviet Union intended for arming strategic missile forces. It was believed that such systems, leaving on patrol routes, can remain unharmed after the missile-nuclear strike of the probable enemy due to removal from potentially dangerous areas. Work on the prospective direction gave the expected result. As a consequence, the RVSN of Russia still had several types of PGRK, and in the future, probably, new similar systems will appear. In the early 1980s, the Moscow Institute of Heat Engineering (MIT) launched one of the new projects of the mobile ground-based missile complex. According to some sources, it was originally called "Temp-SM", but later it received a new designation - 15P159 "Courier". It was under this name that the project entered the history of domestic missile technology. The project "Courier" was the answer to the American program Midgetman. Since 1983, American experts had been developing a mobile missile system armed with an intercontinental ballistic missile with a range of at least 10 thousand kilometers. An important feature of the Midgetman project was the limitations in size and launch weight of the rocket. The last in the ready-to-run condition was to weigh no more than 15-17 tons. On July 21, 1983 the USSR Council of Ministers issued a decree, according to which the MIT was to develop a missile system with similar characteristics. Limitations on the size and launch weight of the rocket, although they complicated the development, could have a number of positive consequences. Studies have shown that a relatively small rocket can be used not only with silo launchers or machines based on special chassis. Carriers of the product "Courier" could be special automotive semi-trailers or containers of standard sizes and trains. In addition, the transportation of missiles by military transport aircraft was facilitated. The initiator and one of the main supporters of the new project was the commander-in-chief of the Strategic Missile Forces V.F. Topolko. The head of the work on the subject "Courier" was appointed A.D. Nadiradze. In 1987, his place was taken by BN. Lagutin. The Votkinsky machine-building plant was involved in the project, which first had to build the necessary number of experienced rockets, and then master the mass production of new products. Tests and start of the mass production of the missile systems "Courier" were planned for the beginning of the nineties. The main element of the new complex was to be the intercontinental ballistic missile 15Zh59 "Courier". Specific requirements for this product led the MIT and related organizations to conduct a large number of studies and tests, to master new materials and technologies. So, it is known that in the design of the missile hull the newest composite materials were widely used, and the instrument equipment should be based on the most modern element base. 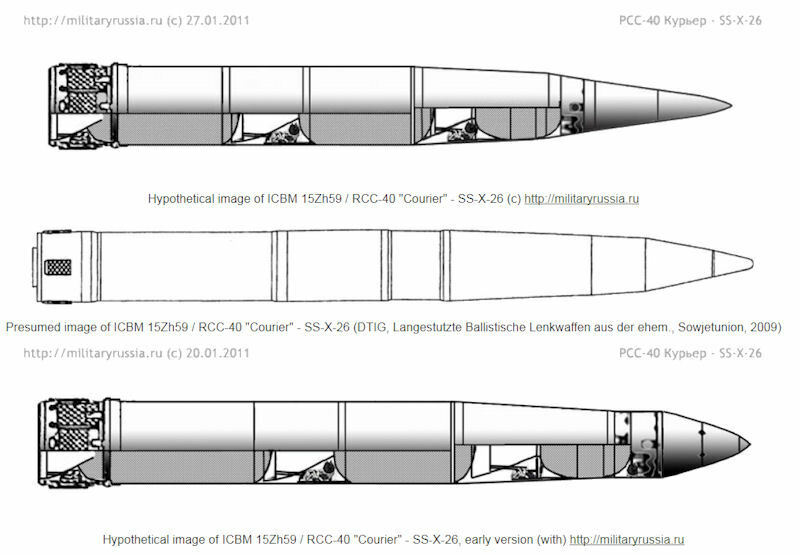 Thus, the missile complex "Courier" could be considered the representative of a new generation of systems of its class. The rocket 15Zh59, according to a number of sources, was to be built according to a three-stage scheme with a separate stage of breeding. All stages of the product were supposed to be equipped with solid fuel rocket engines using a new type of fuel. In the design of engines, in order to reduce their size, partially recessed nozzles could be used. In the head part there should be a dilution stage with a payload. The "Courier" rocket turned out to be uniquely compact. Its length did not exceed 11.2 m, and the maximum diameter of the hull was 1.36 m. In the early stages of the project it was supposed to meet the starting weight at 15 tons, but later it had to be increased to 17 tons. The throwing weight is about 500 kg. The 15H59 missile was to carry a monoblock warhead with a nuclear warhead of no more than 150 kt. To guide the missile, the "Courier" was to use an inertial guidance system based on a modern element base. As controls, rotary engine nozzles and grating rudders of the first stage could be used. According to available information, despite the low weight and dimensions, a promising intercontinental missile "Courier" was supposed to deliver the warhead to a range of 10-11 thousand km. The circular probable deviation should not exceed 350-400 m.